Master Sha will hold a two hour teleconference for all Divine Channels, Divine Channels in Training and Divine Healing Hands Soul Healers on Sunday, August 28, 2016 from 6-8 am HST/9-11 am PDT/12-2 pm EDT/6-8 pm CET. • What are divine services? • The power and significance of divine services. • How to offer divine services. He will also bless all of the participants to develop your own divine services. See you at noon! This class will be repeated three times in August. The more we practice, the more blessings we receive and give, the more powerful the effect. 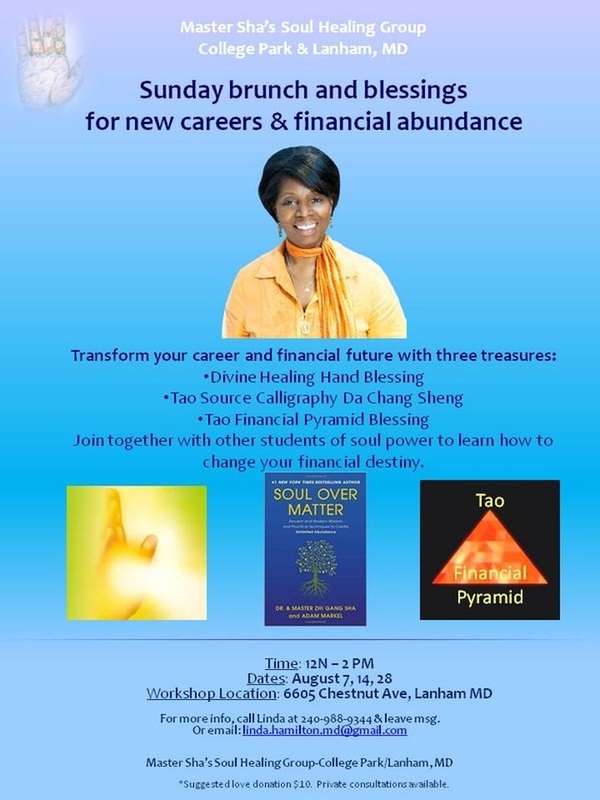 Soul Over Matter Workshop with Master Sha and Adam Markel: a workshop to create financial well-being in your life.